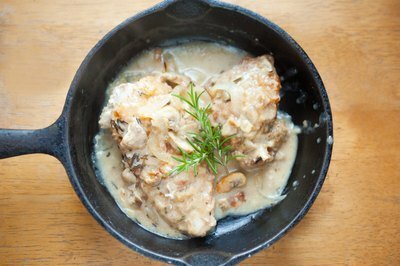 An iconic one-dish meal, chicken fricassee is a French dish featuring bone-in chicken pieces, often served with a creamy white sauce. To make the humble but flavorful dish, brown the chicken pieces briefly before simmering them with vegetables and herbs. 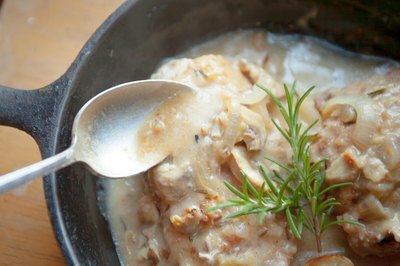 The resulting aromatic liquid later forms the base of the classic fricassee sauce. Chop the vegetables and fresh herbs. 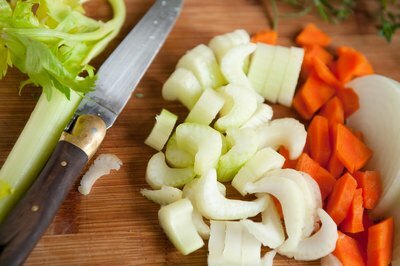 You need about a handful or two of chopped vegetables and a few spoonfuls of fresh herbs. 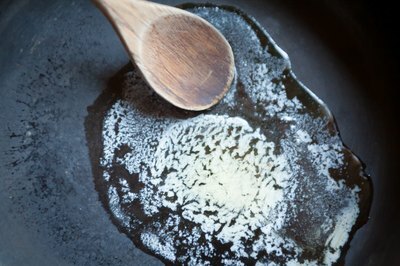 Add enough butter or oil to cover the bottom of the skillet, and turn the heat to medium-high. 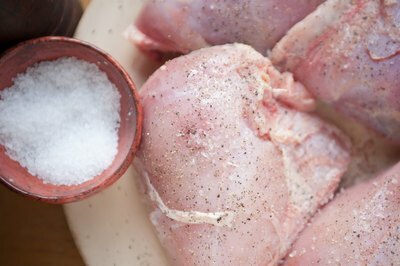 Season the chicken pieces with salt and pepper, then put your first batch of chicken into the pot. A cut-up chicken, or an assortment of legs and thighs, probably needs to be cooked in two batches. Brown the chicken pieces on all sides, which should take about 10 minutes per batch. Reserve the cooked chicken on a plate and repeat for the second batch. 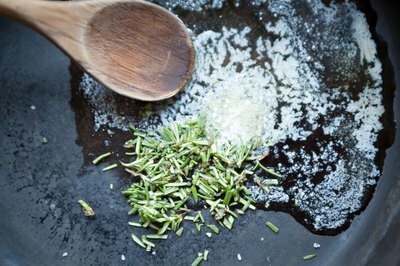 Sauté your chosen aromatics for about 2 minutes, or until softened. Whisk together equal parts of broth and white wine. Pour the liquid into the pan over the sautéed aromatics and bring it to a quick boil. Put the browned chicken pieces back into the pot, along with some of the chopped herbs. Lower the heat, and simmer the ingredients for about 20 minutes. Insert a cooking thermometer into the meatiest part of one of the larger chicken piece. 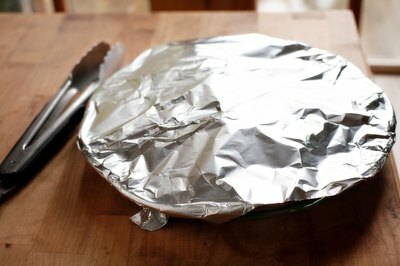 When the temperature registers 165 degrees Fahrenheit, remove the chicken pieces from the pot and set them on a platter; cover it loosely with aluminum foil to keep the chicken warm. Add a few dollops of cream and a small amount of flour, if desired, to the cooking liquid. 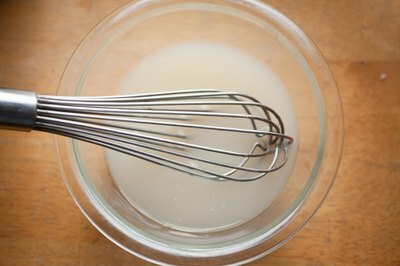 Allow the liquid to reduce until it reaches a sauce-like thickness, stirring frequently. Avoid a vigorous boil, which could cause the cream in the liquid to curdle. Add the remaining fresh herbs just before taking the sauce off the heat. Remove the aluminum foil from the chicken, pour the thickened sauce over the chicken pieces, and serve. Opinions vary on what a "true" fricassee is, which certainly gives you room to experiment. 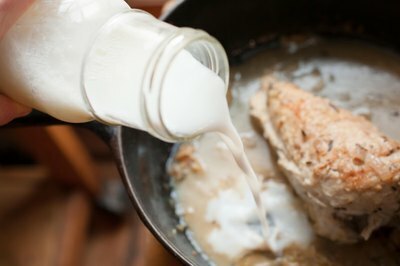 Some cooks dredge the chicken in flour before placing it in the hot pan. In addition, one school of thought insists on just lightly sauteing the chicken first, rather than browning it, to keep the final dish as pale as possible. 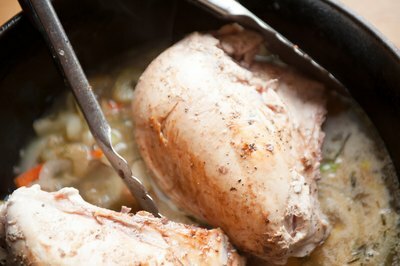 For a rustic touch, serve the chicken in the stew pot -- especially if you have high-quality cookware. To do this, place the chicken back in the pot after the sauce has thickened, rather than keeping it on the platter and pouring the sauce over it.